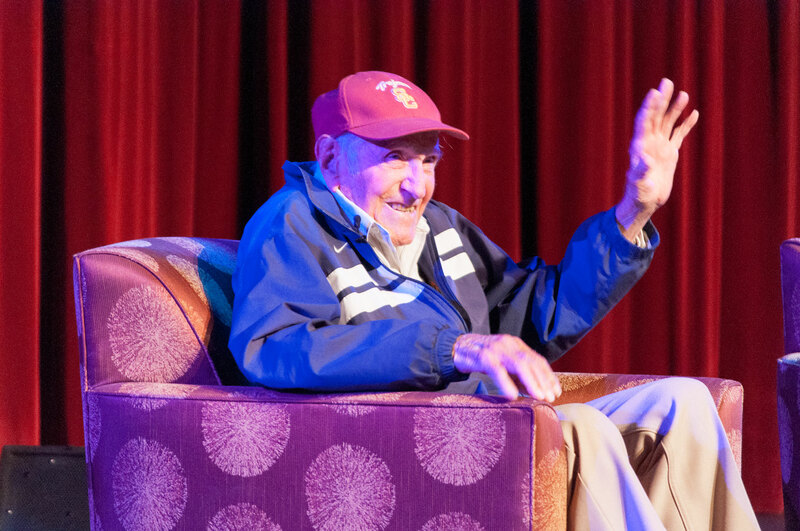 Olympic distance runner, World War II hero and celebrated USC Alumnus Louis Zamperini spoke to a maximum capacity audience recently at USC about the power of resilience. Louis Zemperini placed 8th in the 1936 Berlin Olympics as a distance runner. Later, during WWII, he was stranded for 47 days after his aircraft crashed into the Japanese-controlled waters of the Pacific Ocean and became a Japanese prisoner of war. Through it all, he kept his sense of humor. Click here to read the full article about Mr. Zamperini’s recent talk at USC.